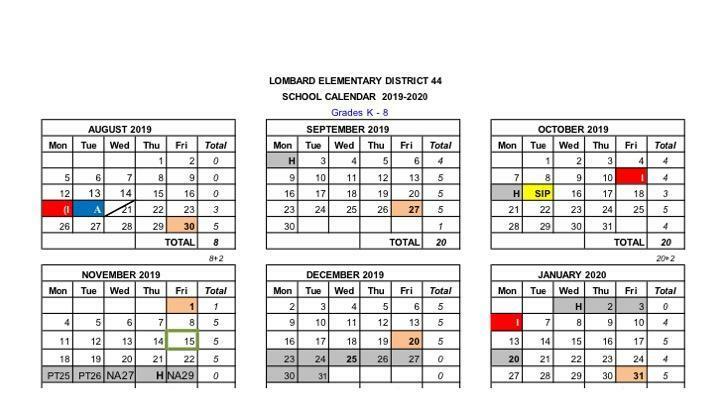 The mission of Lombard Elementary School District 44, working in partnership with students, families, and community members, is to educate the "whole child" in order to achieve personal excellence. Students who will be entering Grades 5 – 8 for the 2019-20 school year are invited to participate. 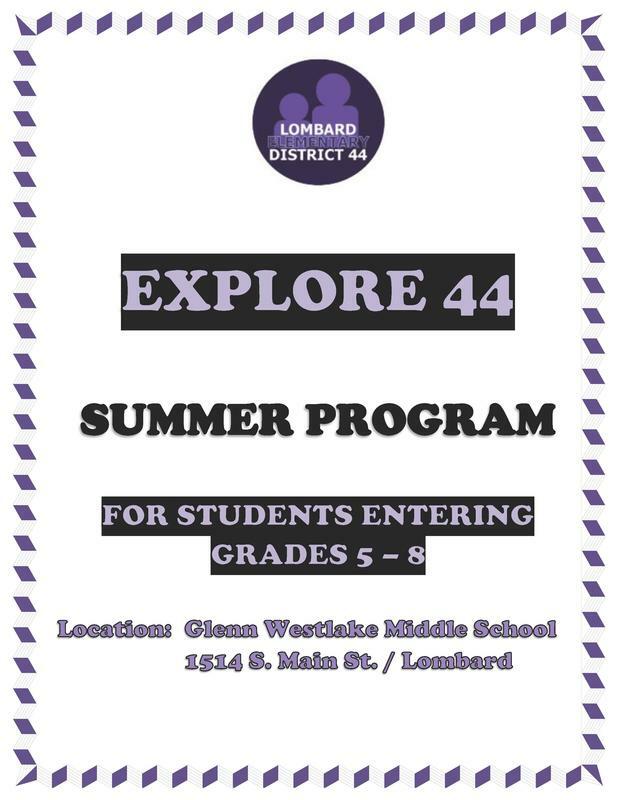 The program will take place at Glenn Westlake Middle School, and two sessions are being offered. Session One will run from June 10 – 20, and Session Two will run from July 8 – 18. (No class on Fridays.) (Los estudiantes que ingresarán a los Grados 5 – 8 para el año escolar 2019-20 están invitados a participar. El programa se realizará en la Escuela Media Glenn Westlake, y se ofrecen dos sesiones. La Sesión Uno será del 10 – 20 de junio y la Sesión Dos será del 8 – 18 de julio. (No hay clase los viernes). 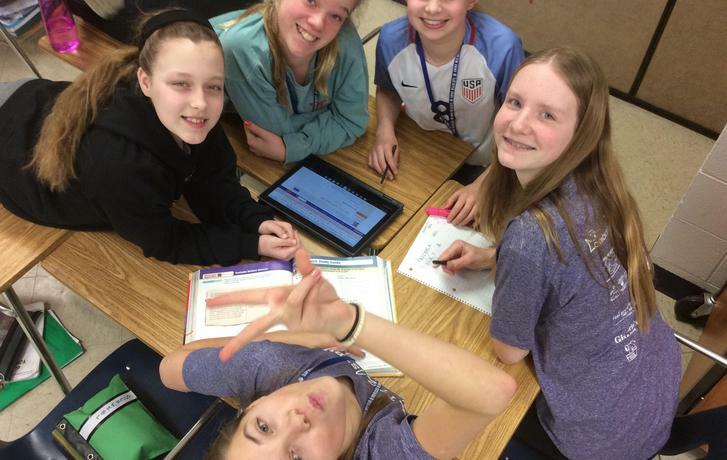 Please click the title above for a document containing important end of year information for 8th grade parents.